Corn daliya is otherwise called as Broken Corn Kernels. It is basically a corn product made from whole raw corn kernels which are crushed or cut into smaller pieces. This is a super quick, easy, healthy, tasty recipe that can be served for breakfast, lunch or dinner. Corn Dalia has low cholesterol and sodium levels. It has a better dietary fibre when compared to rice. One may think that there is not much you can do with corn Dalia (cracked corn) other than make porridge and serve it for breakfast. Actually this is my first entry in Shhhh Cooking Secretly Challenge. I have seen many of my fellow bloggers participating in this challenge. Now I am very happy to be a part of this event. This challenge work on theme basis, so Mayuri Patel discussed with us about whole grains.According to this event, two participants are paired and the secret ingredient will be discussed among those two members. This Month March I am paired with Rafeeda (everyone knows about her).She gave me “Carrot” and “Corn” as secret ingredients. 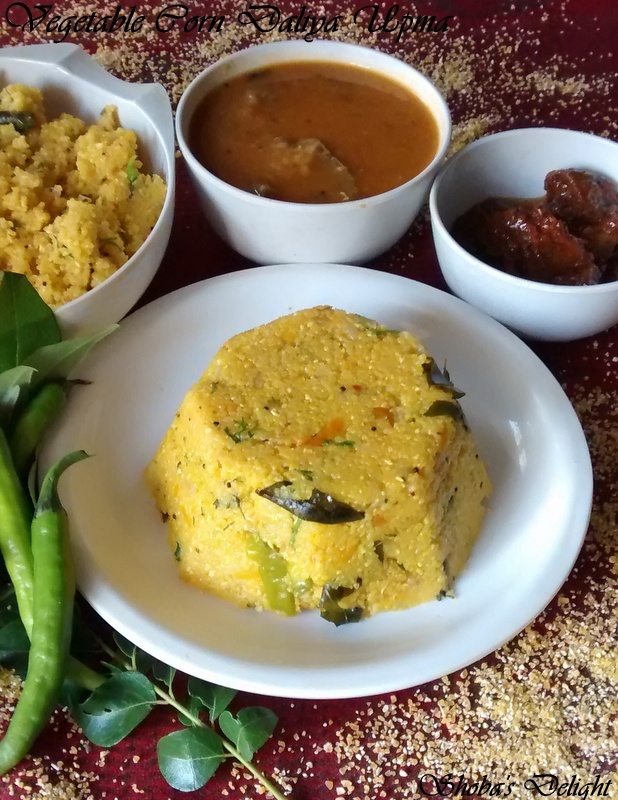 As soon as the ingredient was finally fixed, I was ready to do Corn Daliya upma.Hope all our event members enjoyed this month theme. I tried to add some vegetables to it.Even it is ideal for single meal dinner. Sometimes you realize that healthy eating needn’t necessarily mean tasteless food. Corn Dalia is extremely light and highly nutritious. Addition of vegetable makes them super nutritious. You can bring in any number of vegetable to this dish, no matter what it always tastes great. Let’s get onto the recipe and I want you guys to try out this simple, yummy and healthy dish. 1. Prepare all the vegetables and other ingredients aside and now start roasting the broken corn in a dry pan for few minutes. 2. Heat the oil in a kadhai. 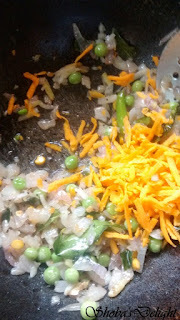 Add the mustard, urad dal. When the mustard splutters, add the curry leaves, onions, ginger, green chillies and fry for a couple of minutes. 3. Now add grated carrot, peas and turmeric powder. 4. 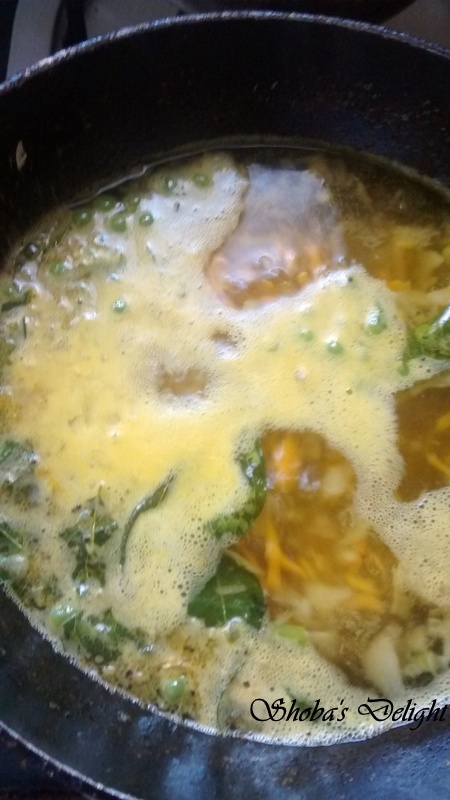 Add 2 cups of boiling hot water and salt to this. 5. 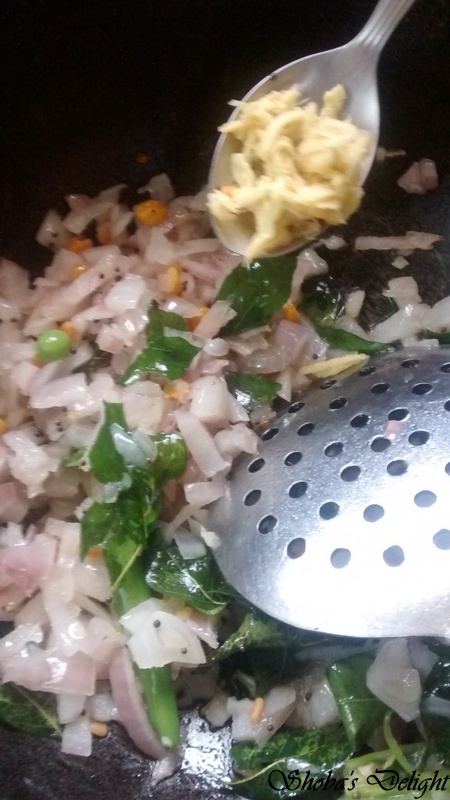 Mix corn Dalia and close it with the lid for sometime.Cover and cook for 15 mins on a low flame. 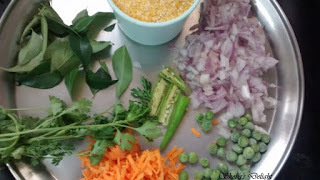 To serve garnish with fresh coriander and lime juice. Enjoy your light meal with your family. Upma looks delicious Shobana.. Simple yet so healthy. 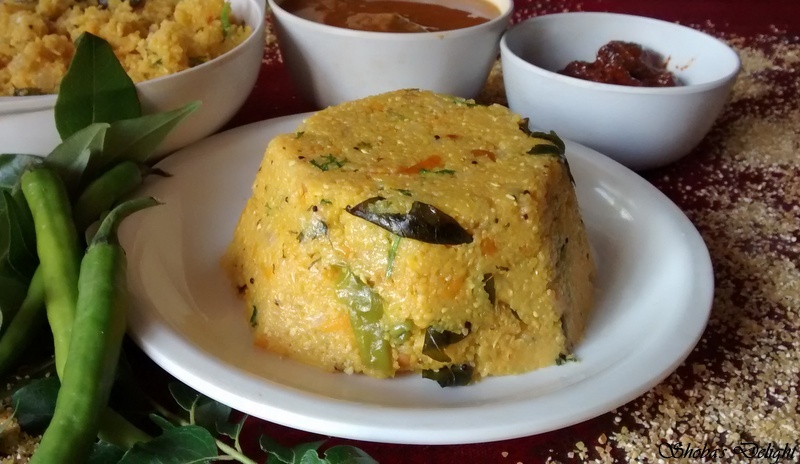 healthy and yummy upma!! nice click! !